Dortmund - The first six months of 's Borussia Dortmund career have proved to be a bit of an eye-opener for the 24-year-old midfielder. A campaign that started so well for die Schwarz-Gelben - and Mkhitaryan - has been hampered by a spate of long-term injuries to key players and, in the Armenian's case, a loss of form. However, the summer signing from FC Shakhtar Donetsk is slowly acclimatising to life in North Rhine-Westphalia, as he revealed in an interview with RuhrNachrichten.de. Speaking through an interpreter, Mkhitaryan says his German is improving by the day and that he has become more confident off the pitch since his move from the Ukrainian champions in August of last year. "I go shopping by myself, for example," he said. "I also watch a lot of TV, which helps [improve my German] as well. If I don't understand something, I have a look on the internet, or I ask one of my team-mates. Mkhitaryan, who turns 25 on Tuesday, shared a room with another of BVB's summer acquisitions, Greece international defender , during their mid-season training camp in La Manga. "[We communicated] in every language!" he chuckled. Regarding on-field matters, Mkhitaryan reveals he has struggled to replicate the form which made Dortmund so eager to secure his services in the summer. Since announcing himself on the Bundesliga stage with two goals against Eintracht Frankfurt on Matchday 4, he has only scored once in 13 appearances - against Hamburger SV the following weekend. "I admit that I was imagining things to be different six months ago," he said. "Aside from the health of my family, my only wish is to play to my full potential and put in strong performances for Dortmund. So far, I haven't fulfilled my ambitions. In the summer, I presumed that the Bundesliga was one of the strongest leagues in the world and my opinion hasn’t changed. Playing in Germany is very interesting and it's incredibly difficult to win a Bundesliga match." Indeed, Dortmund have only won one of their last six matches in the league, but despite BVB's disappointing form towards the end of the Hinrunde, Klopp's faith in Mkhitaryan has rarely wavered, as evidenced by the midfielder's 15 league appearances this campaign. "Jürgen Klopp talks to me very, very often," said Mkhitaryan. "He told me [at our training camp in La Manga] that I have to let go of the pressure I place upon myself, whether it's in training, after, or even during a game." 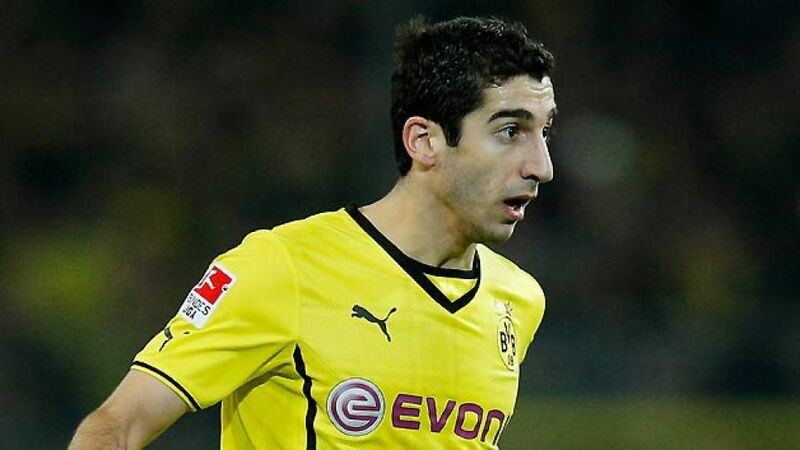 Mkhitaryan also remains convinced Dortmund can continue to challenge for domestic honours, despite Robert Lewandowski's impending departure to FC Bayern München. "I'm not worried [about the team being weakened]," he said. "We will still be strong, because Hans-Joachim Watzke, Michael Zorc and Jürgen Klopp will make sure that we have a fantastic team in the summer. We will continue to evolve as a team." Those words are likely to be music to the ears of Dortmund fans.